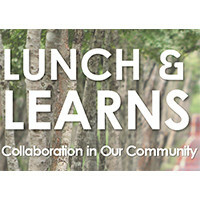 The Webster University Summer Sustainability Lunch and Learn Series continues through Aug. 10. The noon hourlong Wednesday series, held in East Academic Building Room 202, addresses strategies and solutions to improve environmental, social and economic sustainability that are created and implemented in the St. Louis area. Check out the series lineup and RSVP for each session. Sessions are free and include box lunches. Following the final Aug. 10 session, attendees will be entered into a drawing to win a Rolling Ridge Nursery gift card.